Today’s Throwback Thursday is a J-rock inspired neck corset or collar. I made this a number of years ago, so I don’t have any in-progress photos. Like my Visual Kei mouth masks, this was inspired by Japanese street fashion. To make this, I ended up actually draping the pattern, to get a skin-tight fit over complex curves. 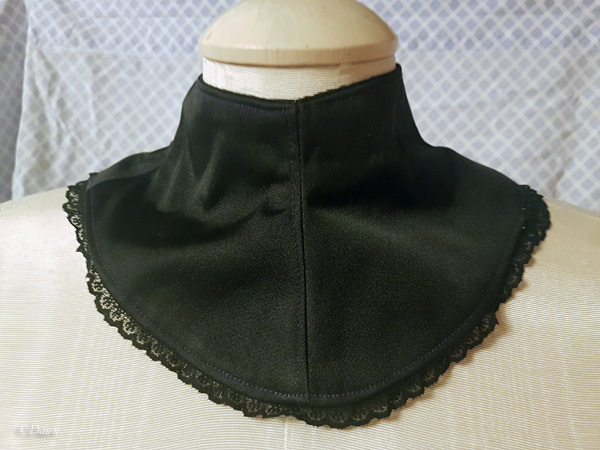 The neck corset is made of black satin, lined in black cotton for comfort, and is trimmed with black lace at the lower edge. 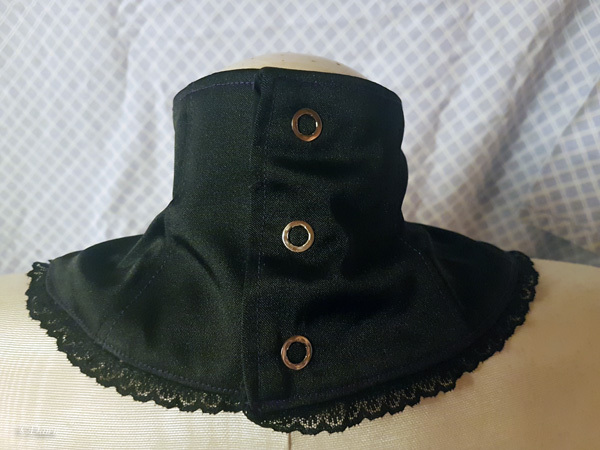 The neck corset / collar is topstitched with purple thread, and closes in the back with snaps – unlike another neck corset I’ve made, the fit is not adjustable. I’m calling this a Throwback Thursday because this is actually a corset I made a while ago (so I don’t have any work-in-progress photos either). I made this to sell, back when I was hoping to get commissions for custom work (I’m not looking to do custom work anymore). 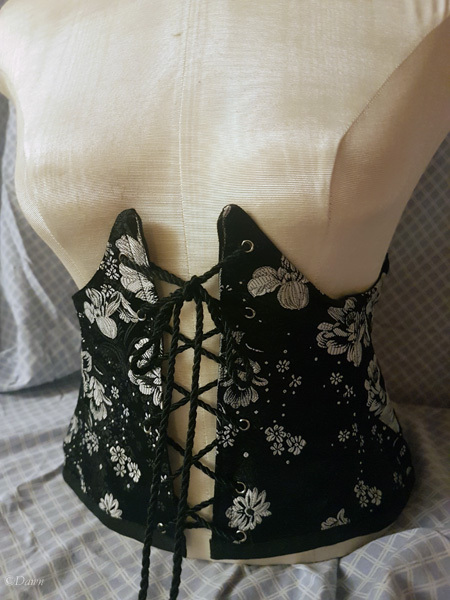 This is a shaped underbust plus-size cincher made from black and white floral brocade. This corset is made with three-layer construction, but has no waist stay. 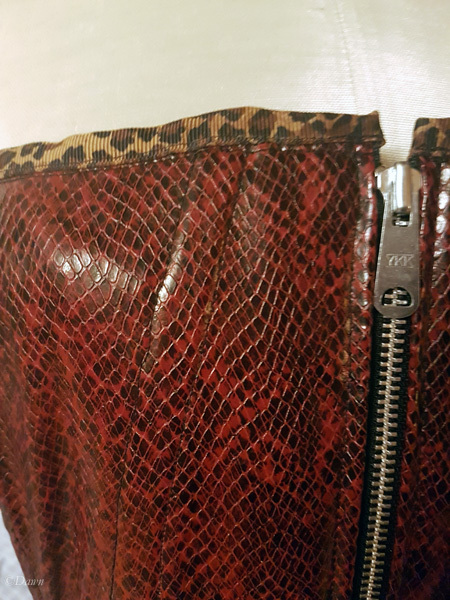 The outer fabric of this underbust corset is a red snakeskin PVC. The top edge is trimmed with a leopard-print grosgrain ribbon, while the lower edge is trimmed with black poly-cotton bias tape. This is an overbust modern Victorian corset, but an early design of mine, with a less dramatic shape than many of my other corsets.